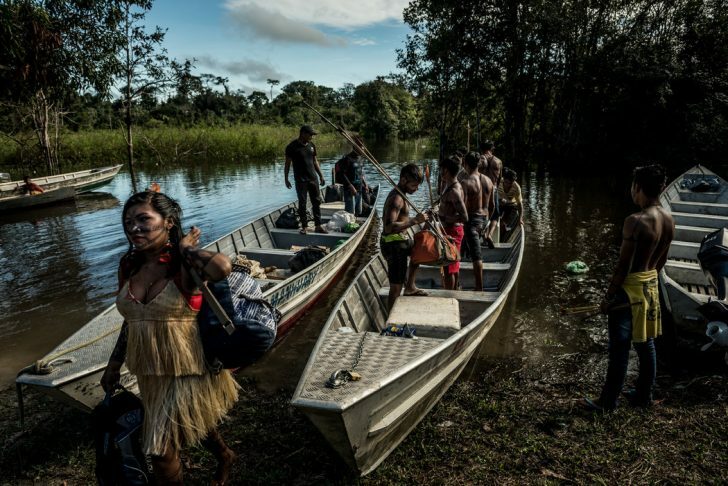 A team of New York Times journalists went into the Brazilian Amazonia and spent some time living with a tribe from the Native Territory Munduruku to take a closer look on the fights against deforestation. In areas already affected by deforestation and illegal mining, munduruku warriors are defending their lands. The new elected president of Brazil, Jair Bolsonaro, has promised to reduce the environmental vigilance laws, because he considers them as an “obstacle in the economic growth”. Osvaldo Wary Munduku, chief of the tribe, explains how his village became a site of illegal mining and commerce that transformed the whole region. Many leaders wanted to increase the living standards of the community, so in 2015 when the first “white miners” came they made a treat. The miners chopped down some areas in the forest to have a private airport, some residential homes and a church. They agreed to give Wary a 10 percent of the monthly earnings. “We saved and saved until we have enough for buying some things for the community”. With that money they bought a ship motor, a generator and a radio. Amazonian tribes are the last lines of defense of the forest. They are now fighting to stop the illegal mining activity in native territory, cleaning the land and sending away the invaders of munduruku lands.